When I was about 15 years old and living in California, one warm evening I was baby-sitting a couple of little boys. I was watching them play outside, and they climbed into the bed of the pick-up truck that was sitting in the driveway. I remember that this made me nervous, as the boys were only about two and four years old, but they assured me that they were allowed to play there. So I went against my better judgment and let them jump around. I was watching them carefully, but before I could stop it, the toddler slipped off the ledge and fell. Onto his head. Onto the concrete driveway. He instantly started screaming. I brought them into the house in a panic. I did everything I could think of to calm the screaming boy, but nothing worked. He screamed for a long time. I can't remember how long, but it was until his parents came home at least an hour or two later. I told them he had fallen, but I did not tell them that he had fallen out of the truck. I was overwhelmed by a terrible sense of horror that this had been my fault, that I shouldn't have let him play there and I should have been watching him more carefully. I never told my parents, and I never told his parents what really happened. I was terrified of being deemed irresponsible. As far as I know, the child was perfectly fine. But the scenario has haunted me since then, especially once I learned more about concussions and brain injuries and what could have happened that day. I realize now that my irresponsibility was less about letting him play in the truck, and more in my lack of calling for help. A few years ago, while living in Tanzania, a young boy stayed with us for a couple of weeks while his parents were traveling. One night, the power went off, and since he was afraid of the dark, I lit two candles. I put one on the desk in the guest room, and one one the washing machine in the bathroom, in case he needed to use it. The candles were in plastic bowls. The power came back on an hour or so later, and the boy blew out the candle in his room. But the candle in the bathroom continued to burn, and in the middle of the night, we were awakened by the boy's cries. When I opened our bedroom door, the hallway was full of smoke. The candle had burned through the plastic bowl, caught the plastic lid of our washing machine on fire, and had continued to melt through all the plastic parts of the machine. We were able to put the fire out easily, but the smoke was incredibly thick. To this day, I am haunted by the what ifs. What if the boy hadn't blown out the candle in his room? What if the smoke had made him unconscious....or worse? And what on earth was I thinking in putting a candle in a plastic bowl? Marianne Williamson famously wrote, "Our deepest fear is not that we are inadequate. Our deepest fear is that we are powerful beyond measure. It is our light, not our darkness that most frightens us." I know this quote has been the climax of many inspiring movies, but I just can't agree. I do agree that I am afraid of my power. But not in a good way. My deepest fear is the devastation I am capable of. It's not just my darkness--that creature within me that must be tamed--that I fear. It's my frailty, my weakness, my humanness that terrifies me the most. The lapse in judgment that kept me from telling the truth to the toddler's parents. The pure foolishness of putting a candle in a plastic bowl. Like everyone, I suppose, I am afraid of what could happen to those I love. I have occasional anxiety about natural disasters or terrorist attacks. I am mildly OCD and triple-check the door locks at night. I am afraid because I know I cannot control my world. But what do I fear the most? That something terrible will happen, and it will be my fault. I cannot control myself. I grew up as part of the self-esteem generation, which is why it is supposed to be our "light" that most frightens us. We were told that our top priority should be finding our identity, following our hearts, and reaching our dreams. The problem is that along with discovering our power for success comes the discovery of our capacity for failure. Serious failure. Because no matter how many times you tell me otherwise, there are times I will always be inadequate. Sure, I might do some pretty good stuff in my lifetime. But I will make the wrong decision sometimes, and other times I will make terrible decisions. I can't fix that. And so I am afraid. So what's the antidote? Looking in the mirror and trying to convince myself that I am smart, capable, and powerful is just not going to work. Or even the Christian version of self-esteem talk--I can do all things through Christ who strengthens me--falls flat. The only way I can defeat my fear is to take the "I" out of the sentence all together. Why does it matter what Amy Medina is capable of--either good or bad? What matters is what God is capable of. He is all-knowing and all-powerful. He is good and can do anything He wants to do. He is the one who is in control of this universe. And even when I do something evil or just plain stupid, He is sovereign over that too. It is there--and only there--that I am no longer afraid. The longer I look at myself, the harder I try to convince myself that I've really got my life under control, the more afraid I am. The more that I just stop thinking about myself all together, and focus on the One who created me, that's where everything clicks into place. Which is why I must continually lift up my eyes. Fear makes me focus inward, and ultimately that will only breed more fear. There's not much in myself that can alleviate my anxiety. What I need is to look up. To look out. God gave us this mind-blowingly massive universe so that we can comprehend our smallness. The vastness of the ocean, the intricacy of a flower, the realization that something far, far bigger than us is going on. Who am I to think that I have the power to thwart God's plan? I can rest in the knowledge that God is a trillion times stronger than me. There is a profound comfort in understanding my insignificance in the universe, and yet my significance in God's sight. It is there that my fear dissolves. My girl started fifth grade this week. Fifth grade isn't usually one of those landmark years, but for me, it is pretty significant. 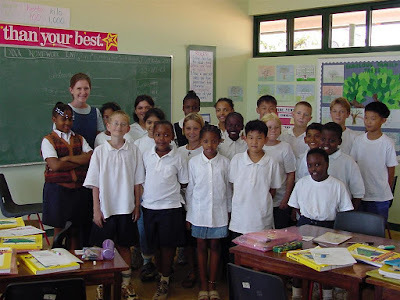 Fifteen years ago, I came to Haven of Peace Academy to teach fifth grade. It was 2001, and I walked into that same classroom. I was 24 years old. HOPAC was only six years old, and that classroom had just been built. Cement dust was still all over the floor and not a single bulletin board was on the newly painted walls. I was fighting my own internal battles as I prepared for that school year, many days barely coping. But that class walked in on that first day, and we fell instantly in love. After teaching in California, I was relieved to have a class that was not jaded by a culture that made them grow up too fast. That classroom was my haven, and that class fed my soul. When Narnia was being born, you could stick a hunk of metal in the ground and it would grow a lamppost. Those days at HOPAC were the same. The school was young and everything was new and we got the privilege of creating culture and tradition. Some of the things my class did that year are still happening today, like Roman Day and the annual trip to the Amani rainforest. I spent two years with that class, teaching them sixth grade as well as fifth, and many of those students have been a part of my life ever since. Now fifteen years have gone by. I watched them graduate from high school and I have celebrated their graduation from college. They are now the age I was when I taught them. They are my friends, and I think they teach me more than I taught them. 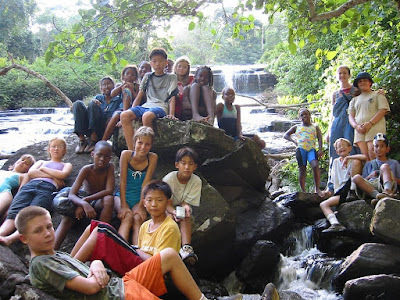 Many of them have returned to Tanzania to change their world. 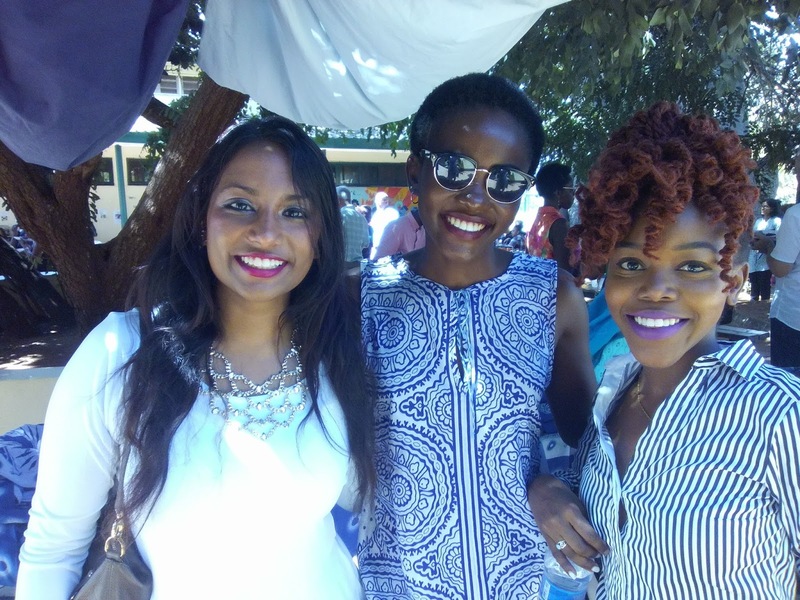 In fact, Dorothy (center) leaves tomorrow to get her Masters in educational policy at Harvard, and then she'll come back and transform education in Tanzania. So yeah. For my own girl, fifteen years later, to enter that very same fifth grade classroom? Pretty darn cool. Lauren and I have dreamed about Arusha for a long time. We always knew that this northern Tanzanian city was in the region of Mount Kilimanjaro (home to where your Starbucks coffee is grown), the Great Serengeti (home to Simba), and is lush and green--at least 10 degrees cooler than Dar es Salaam. As far as we were concerned, that made it a paradise. So when the opportunity arose for all of us to attend Swahili language school in Arusha for three weeks, we jumped at the chance. After all, we all needed to boost our Swahili, and a chance to spend time in Arusha would just be icing on the cake. So we went. We headed ten hours north on the two-lane road, buses and semi-trucks dodging us at breakneck speed. We passed miles of sisal plantations and scrub brush savannah and villages of small mud houses. We went with our long-time friends Ben and Lauren, and our new friends Luke and Amber, and a gaggle of nine kids under the age of ten. Arusha did not disappoint us. We stayed in guest cottages on a mission compound that is a version of Eden, where the chatter of monkeys woke us in the morning and the avocados dropped from heaven like manna. The temperature dropped into the sixties and we shivered in our hoodies and bought thick socks at the market to wear at night. We discovered that the grass really is greener in Arusha. 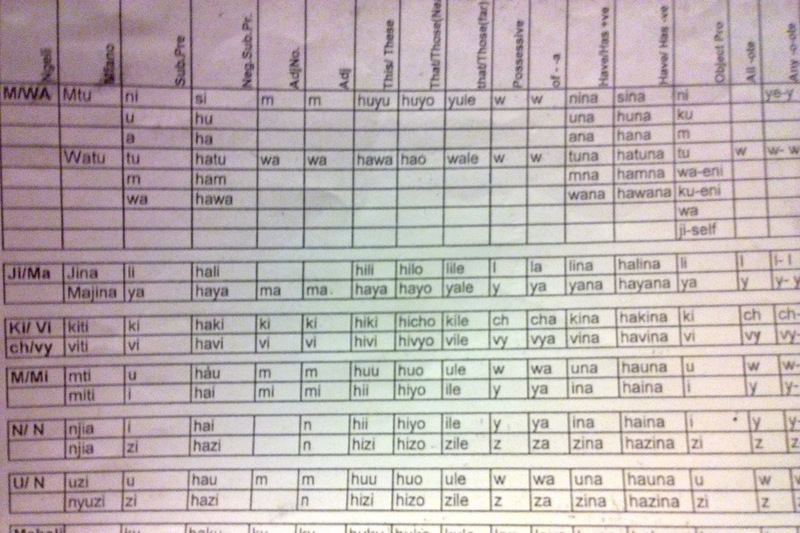 Of course, the bulk of every day, from 8:30 till 4, was spent on things like the seven noun classes of Swahili, and if you don't know what a noun class is, then you can thank your lucky stars that English only has one. Our heads worked hard and words words words sorted themselves into slots in our brains with labels like "causitive," "stative," and "passive." It was hard mental work, and we were exhausted many days. But we were in such a beautiful place. And we were with beautiful friends who are like family, and we ate meals together and the conversations were as nourishing as the food. We walked the half hour to and from school every day, through corn fields and over streams and across a pasture of purple flowers. The kids spent every afternoon roaring around on scooters and slept every night on a wooden loft, snuggled under blankets in the frigid sixty degree cold. at a natural spring--that's my boy flying high on the rope! We had a good, good time. But even though the grass is greener in Arusha, Dar es Salaam is home. And there is always something sweet about that. Just a few weeks ago, Johnny and I were outside at night. "Look, Mommy, the moon! I see the stars too!" he pointed out with his little-boy lisp. A pause. "I saw the moon and the stars at my Baby Home," he added thoughtfully. "I had a balloon with a light." I wrapped up his words in my heart, because it's one of the only times he's verbalized a real memory of his life from before he joined us. I pictured him there, dancing in the dark with a glow balloon in the garden at the Baby Home. He remembers. It's his own memory, not planted there by photographs or my own prodding. Today is one year since my boy came home. I think back to that day, which seems like just yesterday and yet a lifetime ago. I remember how utterly overwhelmed he was that night we put him on a plane and took him away from everything he knew and loved. I watch him now, my fearless boy roaring around on a scooter, covering himself with scratches and scrapes which barely slow him down from keeping up with his siblings. He was three, almost four, when he came home, and now he's almost five. He has been nothing but joy to us. If there are scars on his heart from the circumstances of his early life, we don't see them. He is so resilient. He is happy and earnest and flexible. Josiah regularly tells me, "Mommy, I love having a brother!" Johnny is the picture perfect example of the beauty of adoption. He had no one, and now he has everything. When we took him home, he was months away from being transferred to a long-term institution. I'm so pleased that he decided on his own that he wants to stay with us, but I shudder to think about the little-boy tears he would have shed if he was now growing up in a place where the Baby Home would have always represented his best years. It was a happy place, but never meant to be a permanent place. The children were always meant to go on to something better--a family. But for some of them, that will never happen. I think of many I know by name--Boniface, Baraka, and of course, George. It's ironic that the year we we have integrated Johnny into our family and experienced the best things that adoption offers is the same year that I have become such an advocate for adoption reform. On one hand, I have been devastated by the reality of international adoption in many countries. 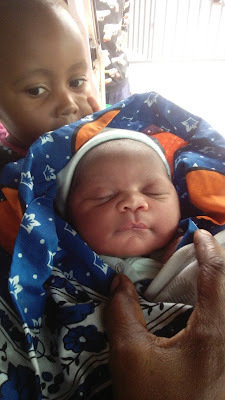 As I started this journey to understand why illegal international adoptions are happening in Tanzania, more and more horror stories kept filling my inbox. One woman wrote to me after reading my series. 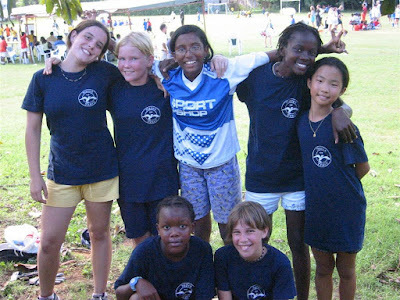 Her family had been pursuing a sibling set from a non-African country, and my posts opened her eyes to what could be going on behind the scenes. They began asking difficult questions and hired their own investigator, and were shocked to find out that the birth mother actually did desire to raise her own children, if given the chance. Another family contacted me after reading my series, and this one was pursuing a Tanzanian adoption (as non-residents). 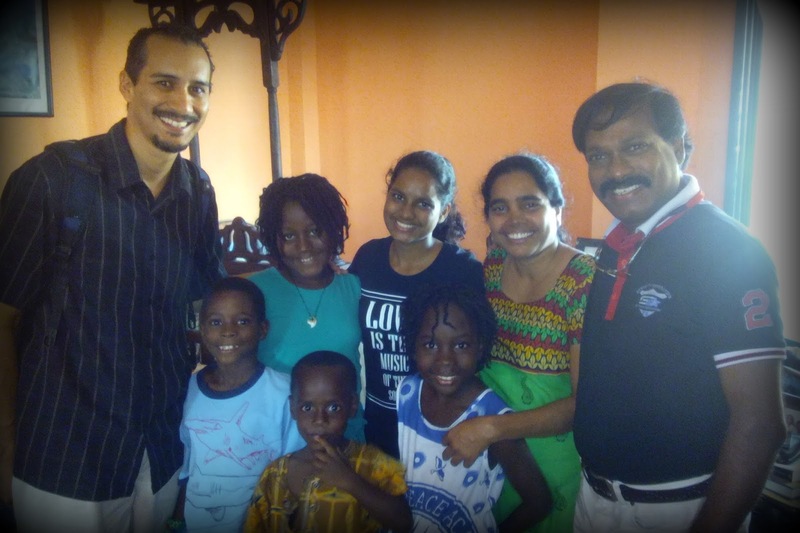 I shared with them everything I had discovered about the illegal international adoptions happening in Tanzania, and as a result, they changed their mind and cancelled their application. 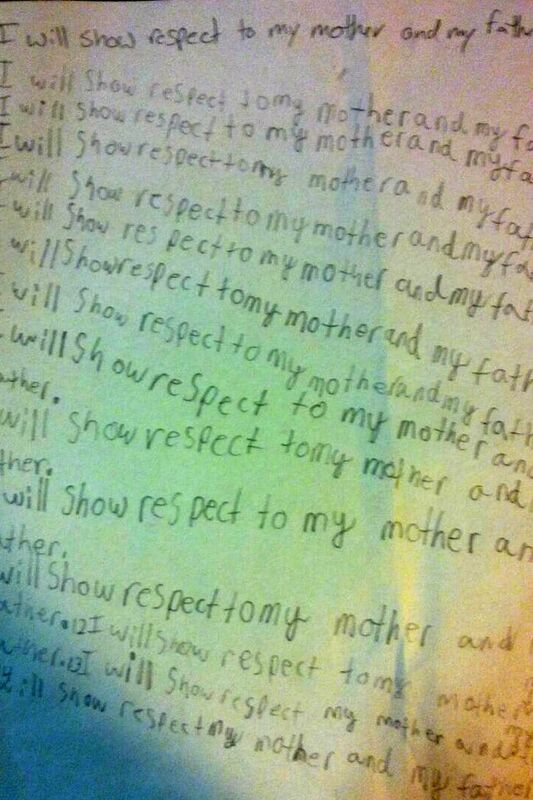 Many others do not. 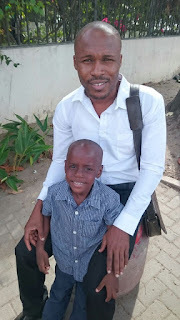 I am writing this post as I am attending Swahili language school in the very city where the illegal Tanzanian adoptions are taking place. Since this is one of my only chances to be here, I was able to meet with the managers of two orphanages and talk with them face-to-face about the illegal activity and what we can do to stop it. It was enlightening and helpful but oh so disturbing. My quest is not over. And yet, on the other hand, this year I have watched an orphan become a son. We completed our adoption legally, and I know with confidence that Johnny had no other options but us--unless you count a life-long institution as an option. And until things change in Tanzania, until the culture changes its attitude toward adoption; until the Tanzanian church takes on a greater responsibility to help widows and prevent orphans, then there will be plenty more children in Tanzania like Johnny. Who have no one. How do I walk this tightrope? How do I dearly love adoption and yet hate the way it is abused? 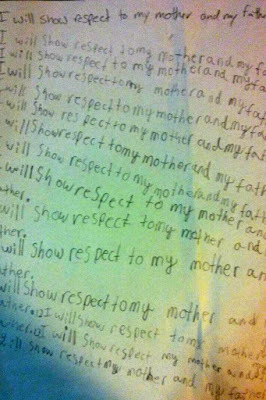 How do I simultaneously fight for the child and yet fight for his mother as well? Through this journey, I have come into contact with many in other countries who are working hard to do both. It has been inspiring and invigorating and I'm not yet sure what my part will be in all of it. But I do know that there will always be tension between those questions. There is no straightforward answer; it's not always black and white. One thing I do know for sure: The answers need to come from within Tanzania. It should not be the foreigners who waltz in with solutions; it should be the Tanzanians. I have absolute confidence they can do it. If you live here, tell me what you think. And consider the part you might be able to play in the solution. 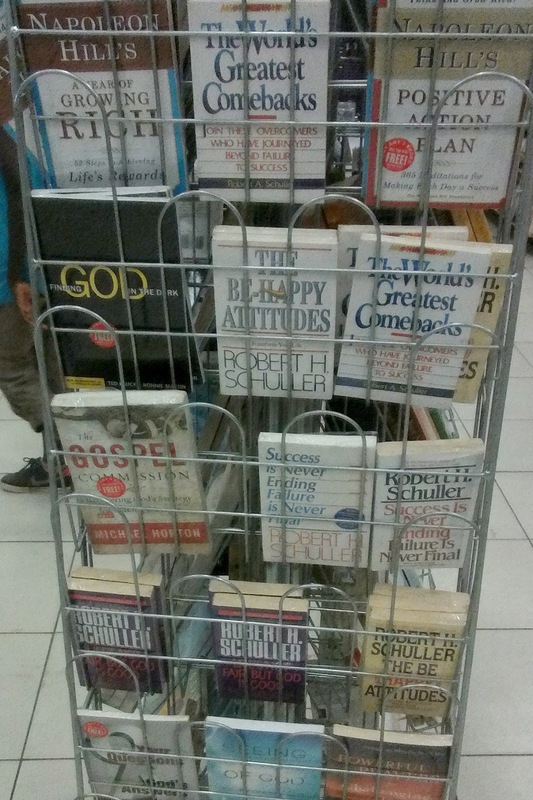 I'm guessing that if I were to ask most of my readers if they are regular consumers of the preaching of Benny Hinn or Creflo Dollar, they would recoil in horror. We change the station if they happen to appear on our televisions (or maybe watch out of morbid curiosity), but mostly, we do our best to try to distance ourselves from that kind of Christianity. All that emphasis on wealth and health--they are not us. We just not might realize that the Prosperity Gospel is so tightly connected to the American Dream that many of us have no idea that we've accepted parts of it. Those of us who wouldn't have anything to do with Kenneth Copeland might still be willing to read The Prayer of Jabez or make Jeremiah 29:11 our "life verse." Even the very popular Hillsong has some veins in the Prosperity movement, as evidenced by its founder's early book entitled, You Need More Money. A Time magazine poll found that two-thirds of American Christians agreed that God wants people to prosper. We shouldn't be surprised then that Joel Osteen leads the largest church in America. Or that the majority of mega-churches in America preach Prosperity. Or that Prosperity preachers dominate the "Christian" airwaves, which means that this is the version of Christianity, more than any other, that gets spread to the rest of the world. 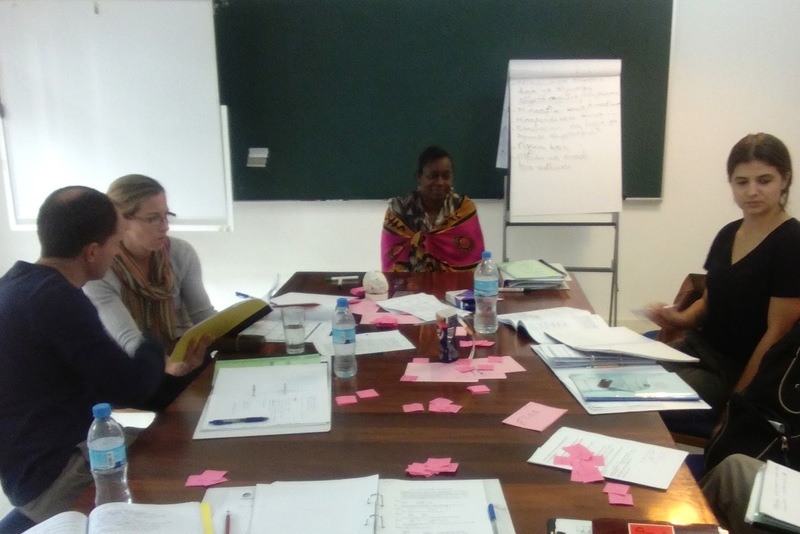 As someone who is in Tanzania with the express purpose of training up church leaders to know, understand, and teach Scripture, it is difficult for me to express the depth of my distress in the Prosperity Gospel. It is embedded everywhere. And it came here from America. Of all the ugly things that America has exported, the Prosperity Gospel's perversion of Christianity is one of the worst. It was born and nurtured in America during a time of economic prosperity, so it was easy for millions of American Christians to swallow it down along with the American Dream. And now....it's here? In a country that is one of the poorest in the world, with a life expectancy of 60? Yet this "gospel" continues to tell people that if they just have enough faith, God will take away their poverty. And if that doesn't happen, well, then obviously they deserve it. It's nothing but a cruel joke from a God who obviously loves rich people more than them. I once wrote that we joined Reach Tanzania because of Benny Hinn. From our very first term in Tanzania in 2001, we realized that American televangelists are the primary source of influence on Tanzanian Christians, including many pastors. 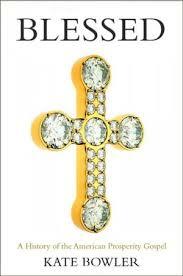 Recently, I read the book Blessed: A History of the American Prosperity Gospel by Kate Bowler. 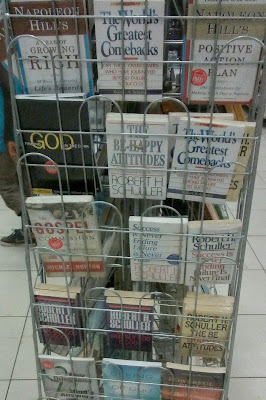 It helped me understand American Christianity a whole lot better. 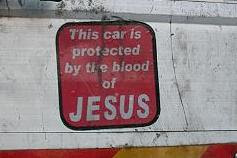 It helped me understand Tanzanian Christianity a whole lot better. And it turned my stomach to realize that so many of the struggles in the Tanzanian church came directly from America. 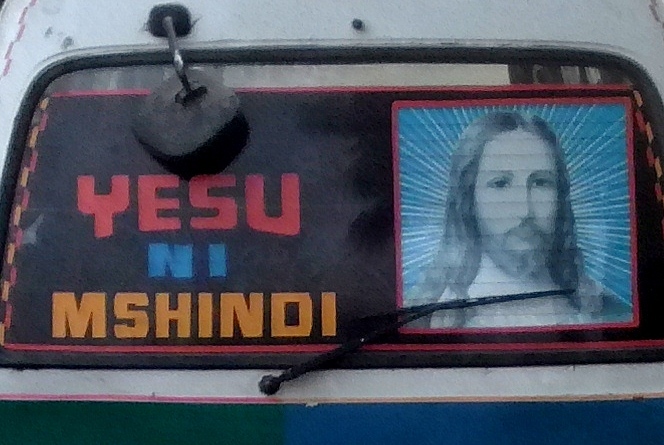 On the back of a Tanzanian city bus: "Jesus is the winner"
It's time for this lie to end. It's time for all of us to remember that God does not owe us the American dream. It's time for us to apply all of Scripture, including the parts that guarantee persecution and trouble on this side of heaven. Including the parts where God does not always give us what we ask for. Including the parts where He is a God who allows (even creates!) prosperity and disaster (Is. 45:7), where both can be a part of His will, and where He intentionally, in wisdom and grace, uses suffering in the lives of His people. That God can heal, but sometimes He chooses not to. That God wants us to be holy more than He wants us to be healthy. That God wants us to love Him more than we love His gifts. That knowing Him, and being known by Him, is the greatest treasure in the universe. For the American church, I am praying that this decent into chaos will knock some sense into its delusions of what God owes them. For Tanzania, I am praying for an African Martin Luther. A man (or many of them) of godly strength and humility who has the courage and the position to lead his people away from the lies that America sent them. May God help us all. The biggest news of the month is that Johnny's adoption was officially finalized on July 27th! He is pictured here with his faithful social worker, who deserves our heartfelt appreciation. I doubt we would have a fourth child right now if it was not for him. Johnny had no idea why "going to court" was such a big deal, since he had already decided that he wanted to stay with us, so as far as he was concerned, it was already a done deal. 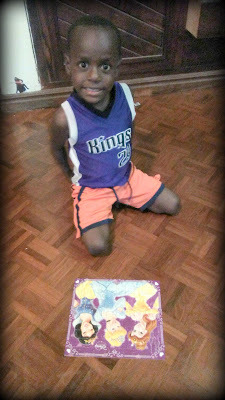 Instead, his biggest accomplishment was completing his first 100 piece puzzle all by himself. I know, I know, we need to find some non-princess puzzles. Since everyone was out of school this month (except for Gil, who was still preparing and teaching some training sessions), the three older siblings decided that Johnny needed some pre-school. 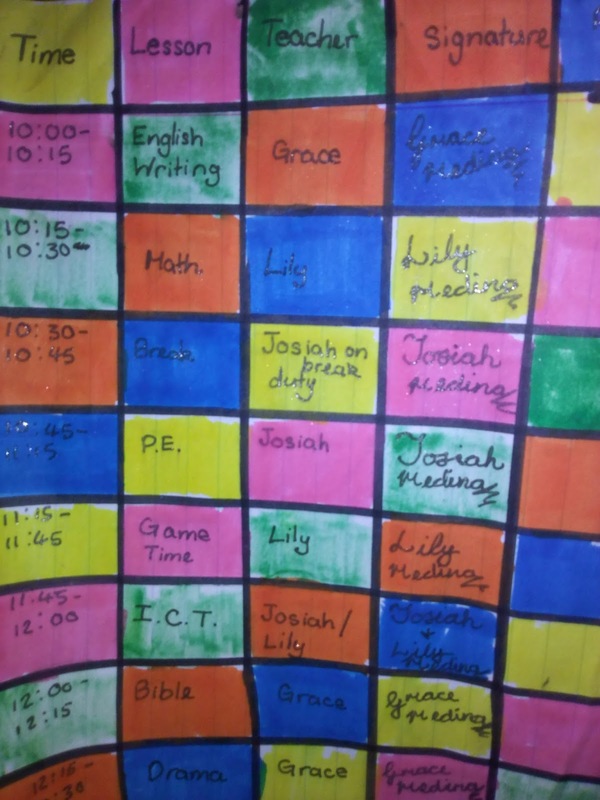 So they created an entire curriculum, complete with recess, ICT (computer class), report cards, and a very detailed teaching schedule. Poor Johnny didn't know what hit him. We had some excitement when a friend, who is a student in our program, asked us to take his wife to the hospital when she went into labor. The call came on a Sunday morning, just as we were leaving for church, so we picked them up, dropped them off at the hospital, and went to church. The baby was born at 1:30 pm, and then we got the call that mama and baby would be discharged at 4:00 pm. Ummm....okay! Our kids got the crazy (but awesome!) experience of riding in the car with a woman in labor, and then taking her back home with the baby only six hours later. Just in case this all seems a bit too idyllic, know that there was also a lot of this going on this month. 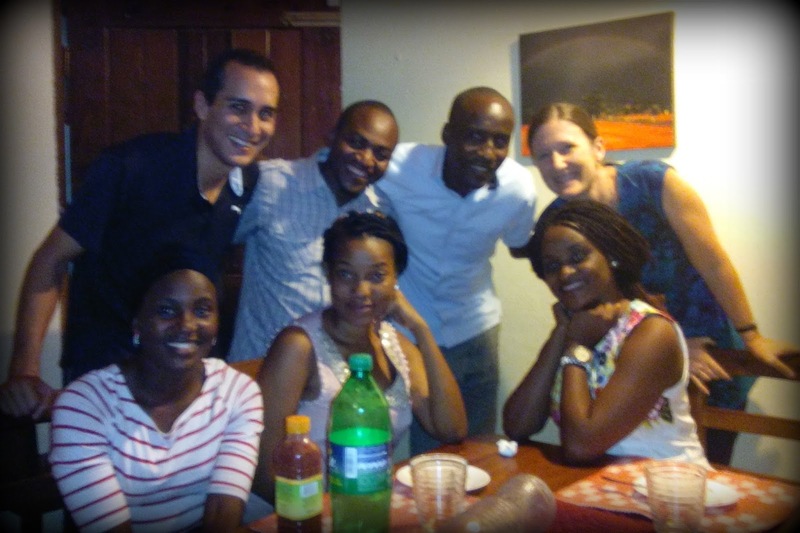 Spending time with one of our favorite-ever families, who go back as far as 2002 and our first term in Tanzania. Spending time with the "Moja Mission" team who have an incredible ministry to Tanzanian teenagers, and also all happen to be studying in our program. 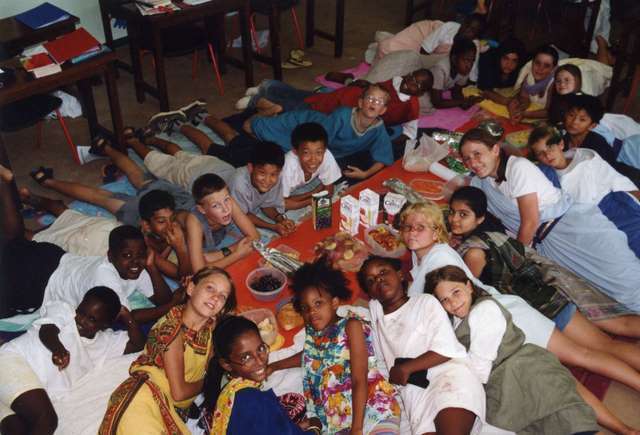 My latest post over at A Life Overseas is about the balancing act of educating kids overseas. If MK education is a part of your life, or you know someone who would benefit from this discussion, please head them over to this post! 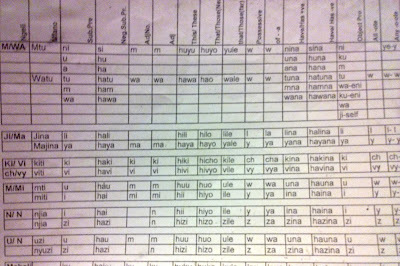 As of August 1st, our whole family is now ten hours away from home, at a Swahili language school. We are here for three weeks, all of us working intensely to improve our Swahili skills. Since we're gone from 8 till 5 every day, and have homework on top of that, my posts will be sparse this month. That is, unless you want lessons on conjugating Swahili verbs....since that's pretty much all that's on my mind right now. But don't worry....I'll be back!